Looking for the best shower heads your money can buy? Then just take a quick look over the comparison table below, as well as read the reviews and buying guide. I’m sure they will reveal to you what you’re looking for. 6 If Your Shower Head Doesn’t Have This, Throw it Away! 7 Easiest Way to Install Your Shower Head? Still thinking about what to pick up? 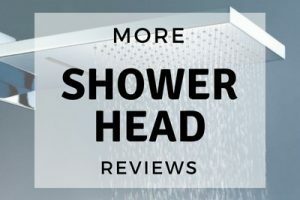 What I have here for you are 10 short reviews on the best shower heads in my opinion. You should spend some times reading them. And I’m sure you will find plenty of useful information to make the best decisions possible. Now, let’s dive right in with the first product. The 75152 is part of Delta’s H2Okinetics line of products. This item can help lower your utility bills while offering an impressive water output. Even though the Delta is considered an eco-friendly head, it still provides enough water per minute for you to shower comfortably. Many others are surprised to find out that the Delta uses 36% less water than the standard products on the market. And I think you would feel the same when you see this bad boy! It achieves a high-volume feeling with a reduced flow by featuring a dense spray pattern. If you want to save more water per minute, you can adjust the water flow with a volume-control lever on its side. If you take long showers, I’d recommend that you lower the water-volume in order to save energy and reduce the monthly cost of your water heater. A few people mentioned that it’s difficult to soap up using this head on the highest flow setting. But I think it’s an easy fix. Because you can turn the volume down as low as possible when applying soap and shampoo, so you have time to lather up. If you’re looking for a low-flow device that offers the power of a conventional shower head, the Delta 75152 is an excellent option. Here comes another great product! The ZenFresh Filtration system is one of the most advanced products currently available on the market. It’s a best seller also. It filters the water as you shower by forcing the water through a three-step purification process as it goes through the device. And people agree that this process helps your skin feel smoother after a shower. That’s because it reduces traces of oily byproducts completely. The bulk of the filtration process uses negative ion mineralized spheres that absorb minerals as the water passes over the spheres. Mineral-rich water can damage your skin and your hair over time. It will also damage the shower head if it’s not cleaned often. But now you won’t need to worry about mineral-damage anymore. Because the ZenFresh Filtration takes care of that before the water even leaves the faucet! … But you can follow the manufacturer’s instructions to fix this quick. Just use a small wrench to loosen the fixture before trying to remove the shower head with your hands. This will make it a lot easier to remove the item and replace the spheres. The ZenFresh is a great option. And it comes highly recommended by almost everyone who uses it. You should give it a try also! And this one is exceptional in every aspects! Reliable and easy to install, the Culligan WSH-C125 has quickly became an industry standard after only a few years on the market. This bad boy offers a superior shower at a great price. The device’s anti-clog rubber spray nozzle won’t attract minerals or calcify unlike conventional shower heads. And it’s rated to last for up to 5 years. Talk about top of the line durability here. It’s recommended that you replace the internal filter after 10,000 gallons pass through the nozzle. But do you know how much is that amount of water? It would take a family of four more than 580 days to use that much water. And even after 10,000 gallons of water have passed through the filter, the device can still reduce up to 99% of chlorine in the water. That way, it will reduce sulfur odors that might come from naturally occurring mineral deposits in your water supply. And that means you and your family will be fully protected for a long time to come. About installation, this product doesn’t require any tools to install. However, the manufacturer still recommends you to complete the tightening with a wrench or a pair of pliers. On the drawbacks, some users have reported that the product will leak if you don’t ensure that it is firmly attached to the water pipe. But it’s not a big deal here. You can use plumber’s tape on the threaded seal if you have it available to fix the problem. After installation, you won’t have to worry about maintenance for over a year. The Culligan WSH-C125 is an excellent choice for continuous use without cleaning. And I highly recommend this for you if you’re looking for the best shower heads ever! Looking for an adjustable high-pressure shower head? Then the Speakman S-2005-HB will be an excellent option for you! It deserves a spot among the best shower heads I have for you. This model comes equipped with Speakman Anystream 360 technology, which allows you to customize your showering experience. This product offers 3 different intensity and pattern settings, including intense, massage, and combination. The intense setting is great for a standard shower because it’s powerful enough to rinse off suds and shampoo. If you’ve had a long day, the massage setting can help provide a thorough water massage without using too much water. Combination gives you the best of both settings by having the intense flow and massage flow going at the same time. The Speakman S-2005-HB is very easy to install and only requires three steps to fully install it. Some users have complained that their shower heads leaked a little immediately after installation. But you can easily fix that by applying thread seal tape to the threads of the pipe before screwing on the head. If the device has been installed properly, it will offer a powerful and consistent spray. This device amplifies the water pressure as it enters the nozzle. That way, even if you have low water pressure, you will still get a satisfying shower with this Speakman S-2005-HB! This Delta Faucet 75700 is a beast! Offering the versatility of a handheld shower with the unbeatable convenience of a fixed head, it will be an excellent addition to any modern bathroom. This item has 7 different flow settings. From a standard shower to an eco-friendly setting that will save you lots of money on your monthly heating bill. And while we’re talking, people are raving about its trickle setting! Because it reduces the flow significantly, so you don’t waste water while applying shampoo or soaping up. The Delta Faucet 75700 has a few unique features that help it stay clean, even after extended use. To prevent mineral buildup, the device employs anti-clog nozzles that are very easy to maintain. Take a sponge and rub some standard cleaner on the nozzles and they’ll be as good as new. A few others have mentioned that the shower’s six-foot extension hose can get in the way. Especially when you want to use the Delta Faucet 75700 as a standard shower head. Because you can easily coil the six-foot hose around the nozzle, so it doesn’t get in the way while you’re showering. Another Speakman product that you’d love. Among the most versatile shower heads in the Speakman catalogue, the S-2252 provides an enjoyable showering experience regardless of water pressure or shower size. This item sports a familiar design that houses 6 fully adjustable water jets. Each of these jets are capable of producing 48 individual sprays that can be adjusted using the Anystream 360 handle located on the side of the faucet. You can set the Speakman to anything from a regular shower to an intense flow that’s designed to drench anyone standing under it. The intense flows are excellent for relaxing and unwinding after a long day, or washing shampoo out of thick hair. While it offers a variety of different high-pressure streams, it doesn’t use very much water to get the desired effect. Talk about water efficiency here. All of the water jets are located close to one another, so more water hits your body instead of missing and covering the shower stall. The device has a consistently powerful spray, even if you have low water pressure. You might notice that customers have reported having adjustment troubles while using. But that problem can be fixed easily. Simply tighten a screw on the side of the flow handle, and everything will work like a champ again! If you love the luxury that comes with showering, you’re gonna love this one! The HotelSpa’s dual-head design offers a luxurious in-home shower experience that’s inexpensive to install and operate. Both of the heads can operate one at a time or simultaneously depending on your preference. They each have many customizable settings that you can mix and match to get the perfect shower flow for you. 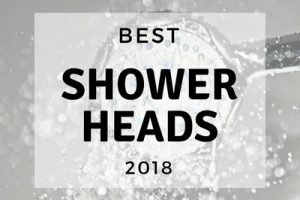 A feature that I really love among these top rated shower heads! This showering combo comes with a conical brass hose nut that’s easy to install, so you won’t have to hire a plumber to attach your new shower head. You don’t need any previous experience with plumbing or expensive tools, either. You can attach this device yourself simply by tightening a nut with your bare hands. After extended use, some people mentioned that the plastic couplings holding the shower heads together will start to loosen. If it’s leaking, the manufacturer recommends tightening a screw on the side with a screwdriver, or sealing the leaky spot with waterproof putty. The HotelSpa Ultra-Luxury uses significantly less water than other brands with similar designs. It does so by incorporating a high-pressure low-flow technology. If you want to increase water pressure, simply turn one of the heads off. The HotelSpa Ultra-Luxury is an excellent, well-rounded product that anyone can enjoy. If you’re seeking a low-flow shower head, then you CAN’T miss out this one! Actually, I really like this one among these best shower heads here. One of the most popular low-flow options currently on the market, this Niagara Massage unit is an excellent addition to your bathroom. Whether you want to save money on your water heating bills or conserve natural resources, the Niagara Massage is a good option. The device provides enough water for the user to have a comfortable shower, without taxing your water heater. In the long run, you’ll save a lot of money using the Niagara Massage. And after a few months, there’s a good chance that you’ll have earned back enough money to completely cover the cost of the product! The device’s chrome-plated finish is corrosion resistant, which will keep it in great condition after years of heavy use. A few users reported that the device’s different flow settings can be difficult to adjust if you have weak hands. However, the manufacturer says that you can fix the mechanism by loosening the nozzle before entering the shower. After making some adjustments, you can choose between many different flow rates. Each stream is non-aerated, so there’s less temperature loss as the water travels through the air. This means that your showers will be hotter and more satisfying while using less water overall. A highly recommended product for you. One of a few double headers that can satisfy even the hardest customers! The Ana Bath comes with two identical 5-inch heads that offer a complete showering experience. And it does that while using the same amount of water as a conventional shower head. The Ana Bath can produce a variety of different streams, including two settings that can envelop your whole body. If you typically take a long time in the shower, you won’t have to worry about wasting water if you use the Ana Bath. This product uses a low-flow design that make less water feel like more. The secondary head can also be detached and used as a handheld shower system while the other is still running. However, there is only one drawback of this product. It’s the adjustment system. Some users have commented that it’s difficult to customize the position without using tools. But it’s not that hard to fix this problem. To fix it, you simply loosen the large nut on the side of the mounted head. This will make the shower heads easy to adjust and move around the shower. Overall, the Ana Bath SS5450CBN is one of the most versatile and complete showering systems on the market. It also costs significantly less than many of its competitors. If you love long shower, then this will be the perfect match. Featuring an elegant modern design, this KOHLER head comes packed with modern amenities that make it ideal for anyone who takes long showers regularly. The product’s patented MasterClean faceplate can resist hard-water buildup, even after long-term use. The MasterClean faceplate is also very easy to clean. All you need is a sponge and some standard shower-cleaner. Since the faceplate has a long-lasting MasterClean finish, you’ll only need to clean this device once a year for the first few years of use. Some users have mentioned that the water flow did not live up to their expectations, but that can be fixed by removing the flow restrictor. Before you install the shower head, simply unscrew the front faceplate and remove the green plastic ring you find in the neck. 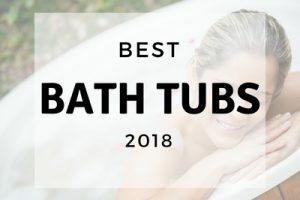 If you have poor water pressure, the KOHLER will amplify the pressure as the water passes through the remaining gaskets and give you a satisfying shower. The shape and size of this unit will give you optimal water coverage during showers, which helps you finish up quicker. In the long run, you can save a lot of money by using the KOHLER. The Forte is a great option if you’re looking for the best shower heads to complete your bathroom. Very few products are as easy to install, use, and maintain like this one. It’s setting your expectations right. And my first advice is you should know EXACTLY what you’re looking for. And that’s even before you start to think about looking at the options available. Because there are so many quality products out there. And because you are going to be overloaded with choices – guaranteed! You need to be able to immediately whittle down your options before you even hit the marketplace. But if you fail, you’re going to deal with information overload and you’ll never be able to pick one from the rest of the pack. Really trying to figure out what your dream shower experience is and then work backwards from there. It’s the fastest way to finding the picture-perfect product for your needs! 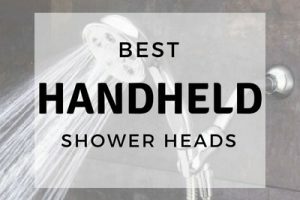 And the best shower heads should give you the best of choices here. There are dozens of different and distinct shower head spray patterns. And no complete buying guide would go without mentioning that to you. Some products produce very firm, very concentrated, almost massaging spray patterns. Whereas, others are a lot like standing in a rainstorm. They just kind of drip down on you from above. Then there are hybrids or combination of everything in between those two extremes. And more still offer pulsing sprays, sprays timed to lighting and music. Not to mention a handful of other “extras” that you’ll have the opportunity to enjoy. You want to pick the best product? Then you need to figure out what your ideal shower spray pattern is. And how important a “multi-spray” kind of thing is for you. Again, it all comes back to managing and outlining your expectations, the very first point that we highlighted in this buying guide. The ideal height and length you’re looking for in your new product. If you’re going to replace the shower head that you already have installed, you aren’t going to have to worry too much about quite or clearance being an issue. But when it comes to handheld shower heads, it’s a different game. Because they can pop off of mounting brackets and be used individually. Or for the devices that are going to be suspended above you like the rainfall shower heads that are so popular in luxury installations, overall height and clearance is critical. And this is something you need to consider in advance also. Remember, it’s always a good idea to mount your shower heads slightly higher than you think you’ll need it. Though you can always add a handheld unit to your standard or “primary” one to boost versatility across the board. If Your Shower Head Doesn’t Have This, Throw it Away! I’m talking about the water pressure. You want it too, right? OK, everyone wants it not just you and me. 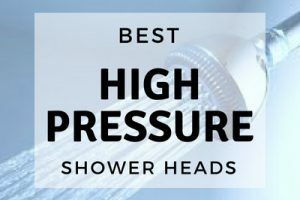 And the best shower heads above won’t be listed here if they don’t have enough pressure for sure! Finding the right pressure goes hand in hand with choosing spray patterns. And the amount of pressure that you’re pushing through the water jets is going to dictate a lot of those spray patterns (and vice versa). Rain patterns are pretty light and very gentle. Whereas “sharp” spray patterns or massaging swirl patterns definitely pack more pressure than a traditional shower head. Those product often produce anywhere between 1 GPM (gallons of water per minute) at 80 pounds per square inch of pressure and 2.5 GPM (or higher) at 120 pounds per square inch of pressure or more. If you’re not restricted on purchasing a “single function” product, it’s a good idea to at least consider the more versatile options out there. You’ll be able to adjust the shower to your specific needs. And so will everyone else that is going to use the shower. Easiest Way to Install Your Shower Head? Something that few buying guide mentions. It is the importance of determining who is going to install your new equipment. Most are going to try and find a new device that they can install all on their own. But some are going to elect to completely overhaul their plumbing entirely (like switching from a traditional shower head to a rain pattern one). If you’re going to make this kind of switch, you’re going to want to be sure that you either possess the necessary skills to tackle this kind of plumbing project. Or that you have accounted for this extra work from a professional in your budget. This isn’t the kind of project that you’ll want to kind of “wing”, that’s for sure. And that’s all about your budget. Sometimes, it’s nothing more than a ballpark number or a “threshold” that you aren’t going to be comfortable crossing. With dozens and dozens of different options to pick and choose from, you’re almost always going to be tempted to buy a more expensive option. This is the best deterrent to making sure that you don’t blow your budget or break your bank account! OK, so now you have it. A complete guideline on choosing the best shower heads that will make you love showering more than ever before! Hope you find this little guide of mine helpful. © 2018 Shower Remedy. All Rights Reserved.